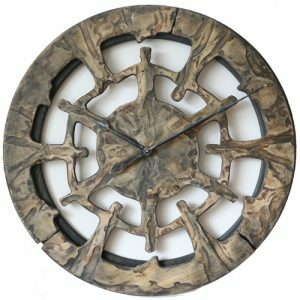 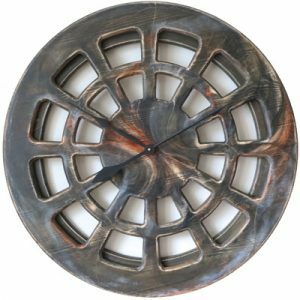 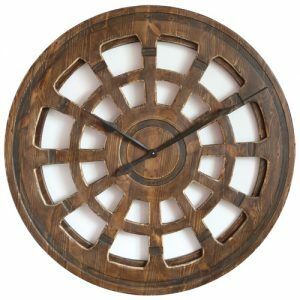 At Peak Art we are trying to show you that our large wall clocks aren’t just telling the time but can be a part of the most impressive interior design projects. 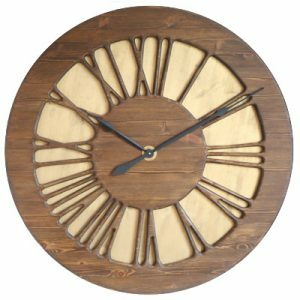 If you need to fill this large empty space on your wall we believe that we have the perfect solution for you. 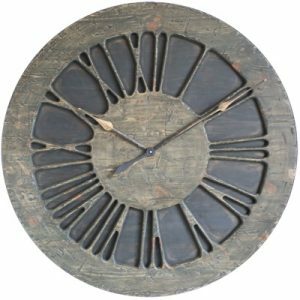 Peak Art is a company that offers so much more than big clock manufacturers. 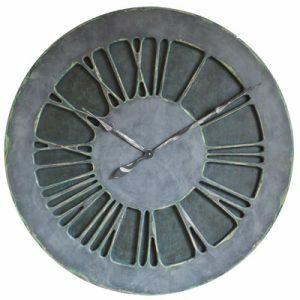 We specialise in personalising and making large wall clocks to your requirements. 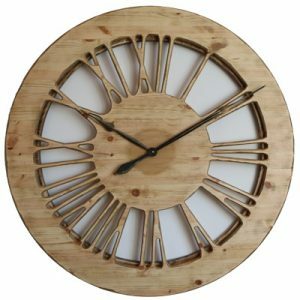 This is why you are not only getting beautiful timepiece but also the most amazing statement art that is tailored to your needs. 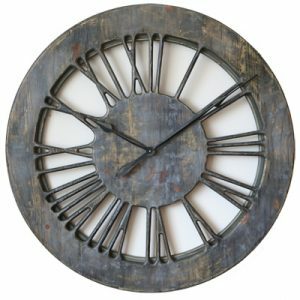 Our wall clocks are perfect for your living room, office, restaurant or even penthouse apartment. Please get in touch if you can’t find the clock design that suits you. We can work together to come up with something ideal for your interiors. 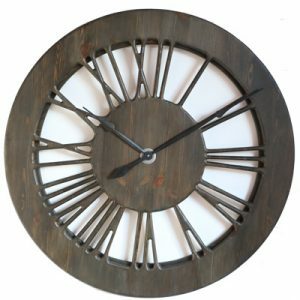 If you haven’t heard about Peak Art Clocks please check our facebook page and read all comments and reviews! 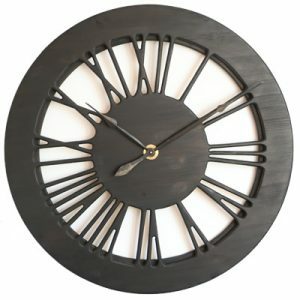 The large wall clock for living room on the picture is a great example showing our product in real life. 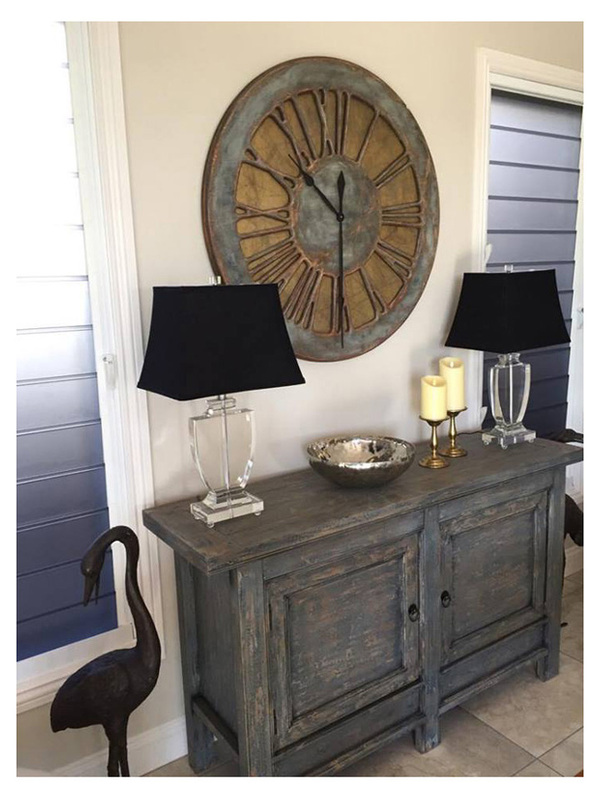 You can see how well it works with the furniture and overall design of this lovely living space. You can also visit our gallery to see more arrangements with our timepieces. 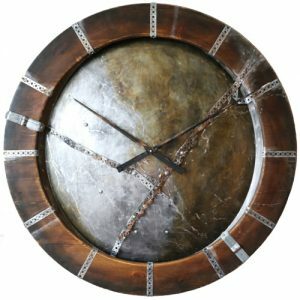 As you can see below all of those remarkable pieces of art provide a strong wow factor. 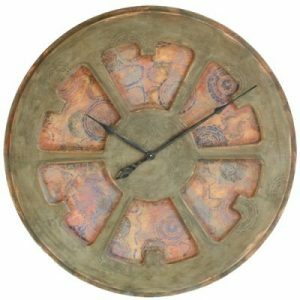 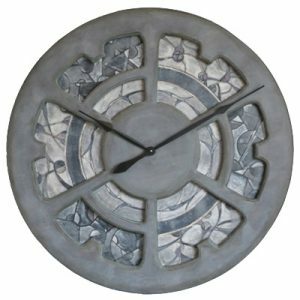 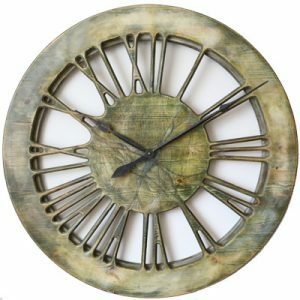 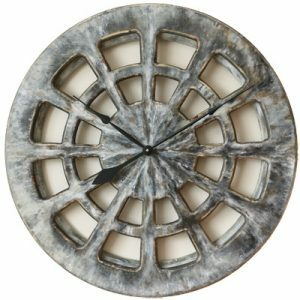 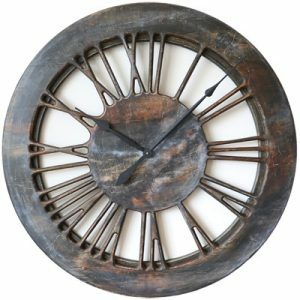 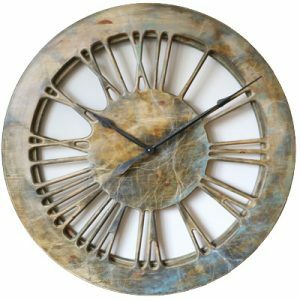 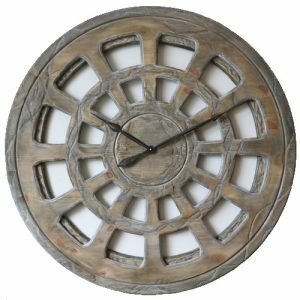 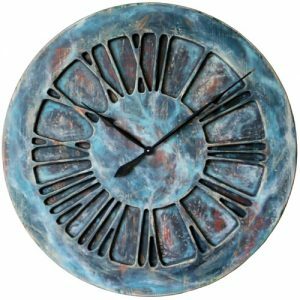 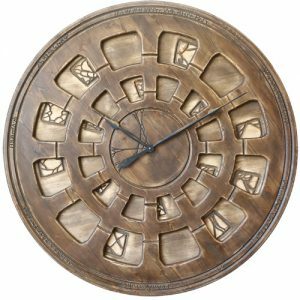 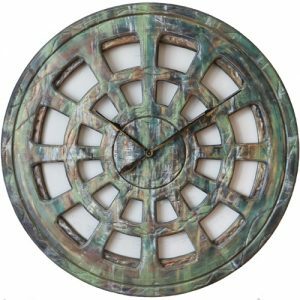 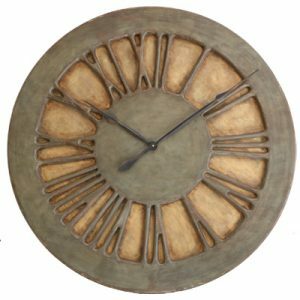 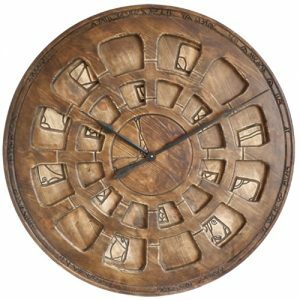 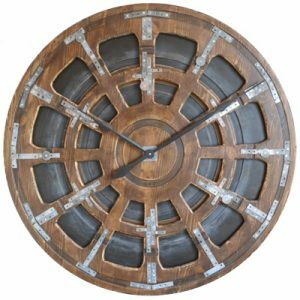 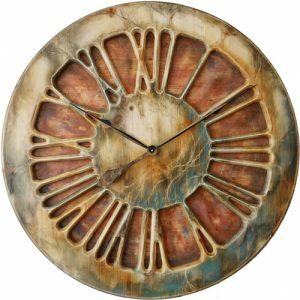 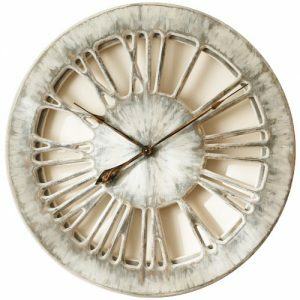 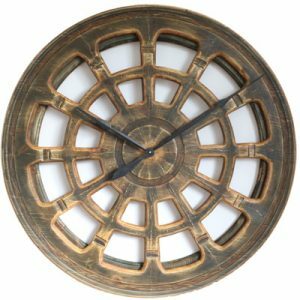 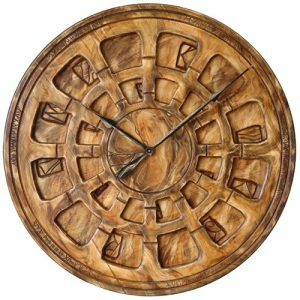 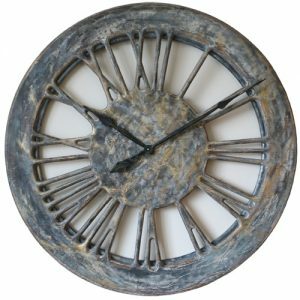 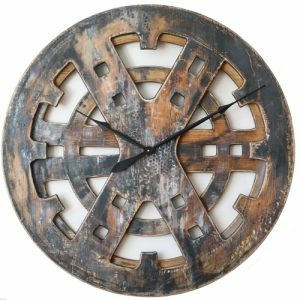 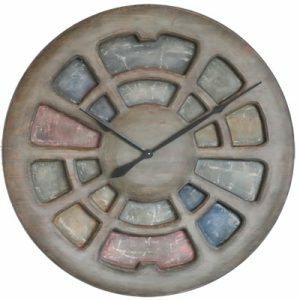 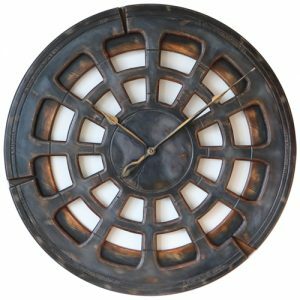 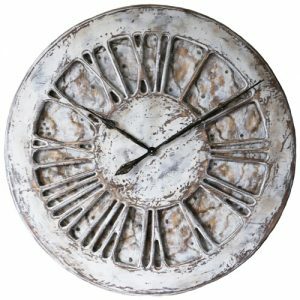 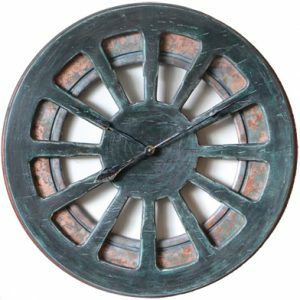 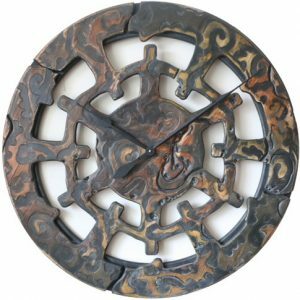 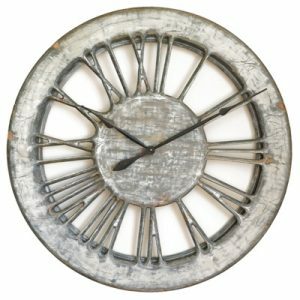 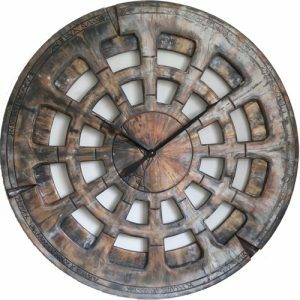 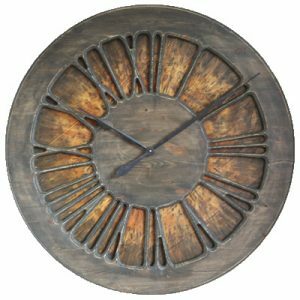 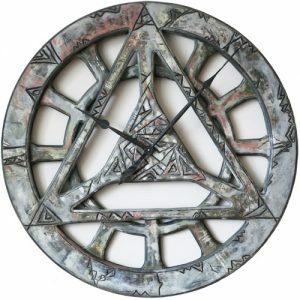 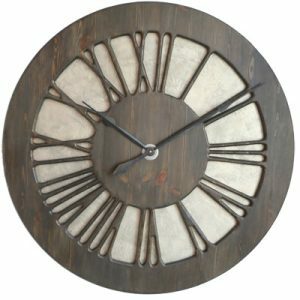 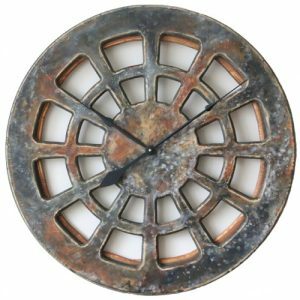 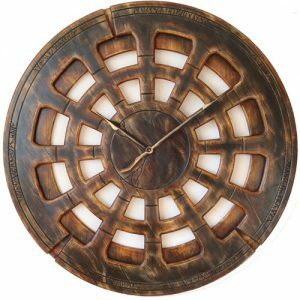 We are offering wide range of large wall clocks including Shabby Chic, Vintage, Skeleton, Industrial and Roman Numeral designs. 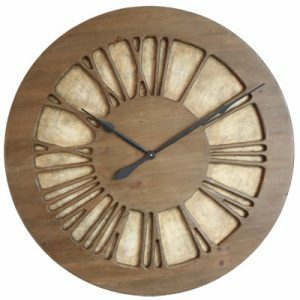 All of those beautiful timepieces are bespoke Peak Art projects that you won’t find anywhere else on the Internet. 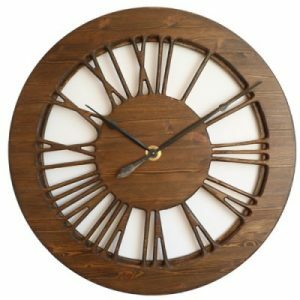 Don’t worry if you think you haven’t got enough wall space. 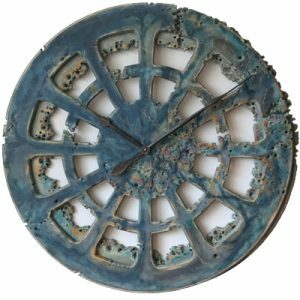 We are offering three different sizes: 30″ (75 cm), 40″ (100 cm) or 48″ (120 cm) to meet most requirements. 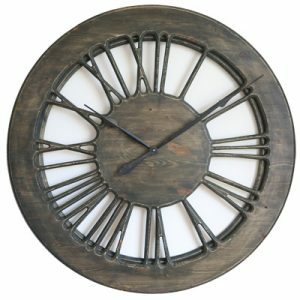 You can simply select the correct clock size from the drop-down list on individual product page before adding to cart.